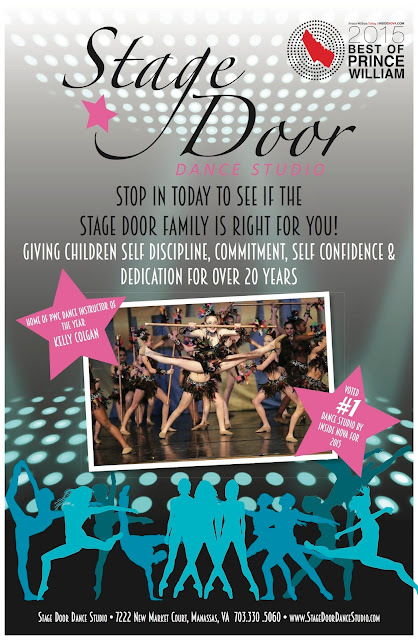 My daughter, who I thought hated anything traditionally “girlie” (see also: failed experiment at ballet) loved the reader meet up at Stage Door Dance Studio so much that she and her little BFF signed up for class! Anyhow, our reader meet up was fantastic. The kids got to try several different types of dance, and I think everyone had a really fun time. Kelly, the director and Dance Teacher of the Year according to 2015 Best of Prince William, was so fun and excited to get everyone dancing, tumbling, and having a great morning! Right now, when you register by December 1st, you can get your Dance Shoes on them! Classes are offered on both weekdays and weekends, and there’s a little bit of something for every age and every level of dancer. 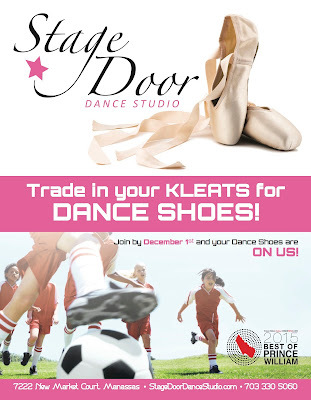 Thanks again to Stage Door Dance Studio for hosting our November Reader Meetup!